For the past year, Caleb and Isaac have been taking piano lessons. Unfortunately neither Kenny nor I play as well as we should despite having taken lessons ourselves many moons ago, thus, though we know it might be a battle, we are determined the boys will play. At least well enough to accompany the hymns in church on Sundays. Something I have needed to do all too often of late, with less than sufficient skill. I lament everyday that I didn't practice more. My mom said I would be sorry, she was right. Very, very right. 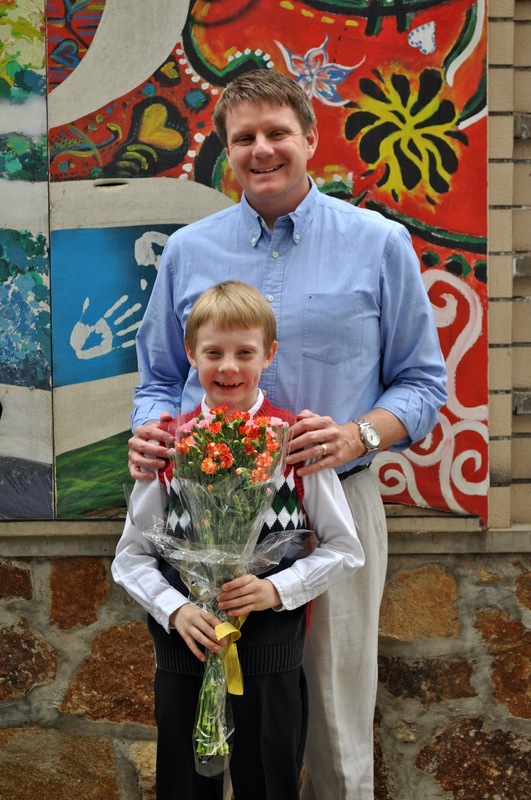 Earlier this year they had a recital. They both played performed well and were completely unaffected by the large crowd and darkened auditorium. 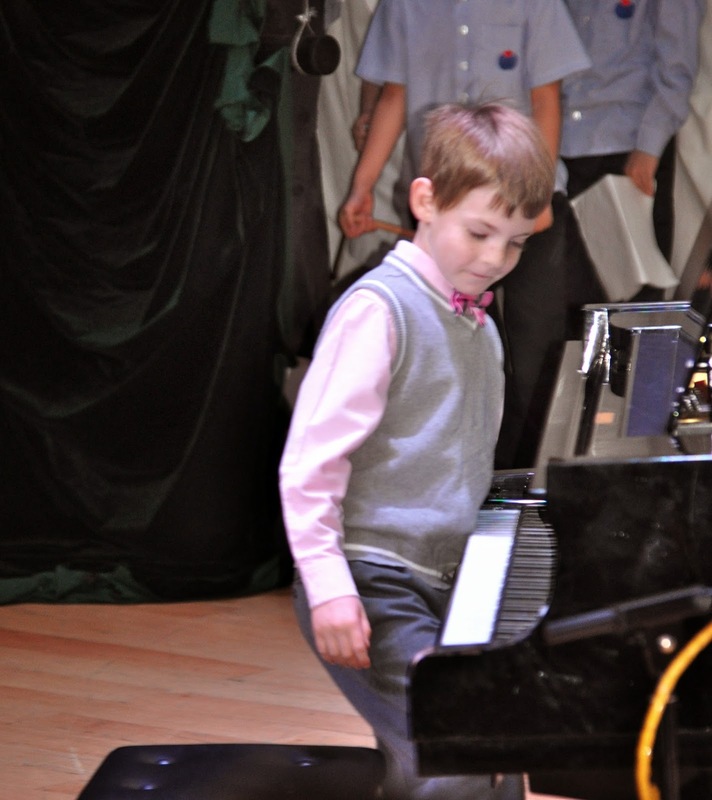 In fact, Isaac, who had never played on a grand piano before, was so mesmerized by the instrument that in the midst of playing his piece, he stood up and looked over the frame to watch the hammers hitting the strings. Even so, he didn't make a single mistake. Piano practice is not always their favorite part of the day, but they are both improving steadily and we are proud of their progress. They take their lessons at school and are surrounded by other children who practice for hours each day and are ABRSM students. Their teacher keeps asking me if we want to get more aggressive about their lessons, but I think for now, while they are still engaged and having fun, we'll just keep it casual. At this point, I doubt conservatory is in our future, but then, clairvoyance has never been my strong suit so we shall see. I made them dress-up. A lot of the other kids wore their school uniforms. I also brought flowers...I was the only one. Apparently, that's not a thing.